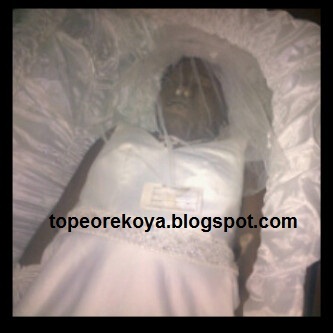 The late yoruba actress will be laid to rest today in Ibadan Oyo State. Ah ah ah May her soul rest in peace in Jesus Name, 2 sad. Insha-Allah may her soul rest in perfect peace. Bisi komolafe gone forever she no more 2be seeing in move again,may her soul rest in peace and seat by right of d lord. gone 2 soon.wel,our life nd death re under d control of thee lord.he creates every soul nd 2him every soul shall return.anyway it’s gud pple make gud comments abt her cos every comment made by d pple abt d death shall be used for or against d departed soul.SHE SHALL REAP D FRUIT OF HER DEEDS. gone away 4eva.wel,our life nd death re under d control of thee lord.he creates every soul nd 2him every soul shall return.anyway it’s gud pple make gud comments abt her cos every comment made by d pple abt d death shall be used for or against d departed soul.SHE SHALL REAP D FRUIT OF HER DEEDS. May almigthy Allah forgive her misdeeds and give her family the fortitude to bear the irrepearable lose. May her soul rest in peace.